Back by popular demand is “How I Draw On My iPad-Part 9.” While you’re at it, don’t forget to check out Part 1 thru Part 8 and now, for your viewing pleasure, Part 9. 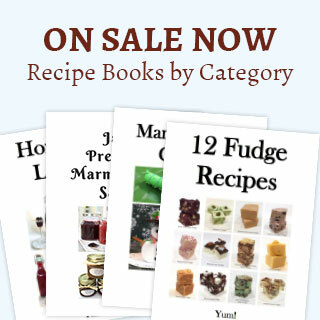 All these demonstrations continue to be very popular with my readers. 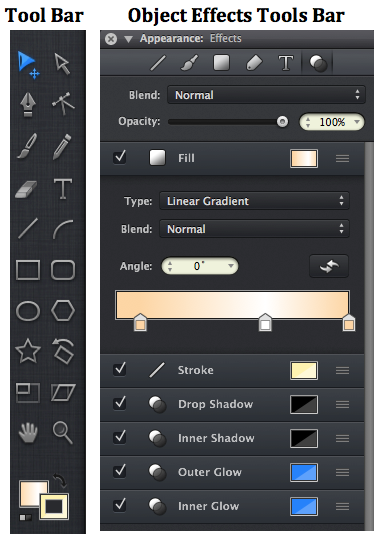 I do enjoy using the iDraw vector-drawing tool for the iPad. This tool really helps me create all the illustrations for my blog, blog articles and now my book and book covers. It was a delight watching the delicate dragonflies flit about from plant to plant on our ponds. 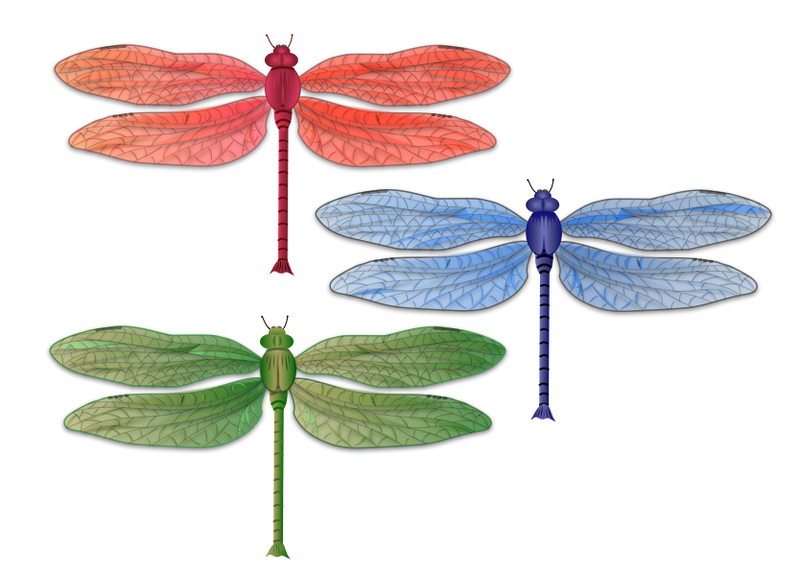 While watching the red, blue and green dragonflies dance from plant to plant I started to sketch their image. As I was sketching, the idea occurred to me that it would be fun if I created an image and ultimately a new demonstration of a dragonfly. As I have done in my past demonstrations, I will use a variety of tools. There is much more freehand work done in this demonstration due to the delicate wings of the dragonfly than I’ve shown in the last few. As I have mentioned before, as more demonstrations are added, they will vary in their difficulty. 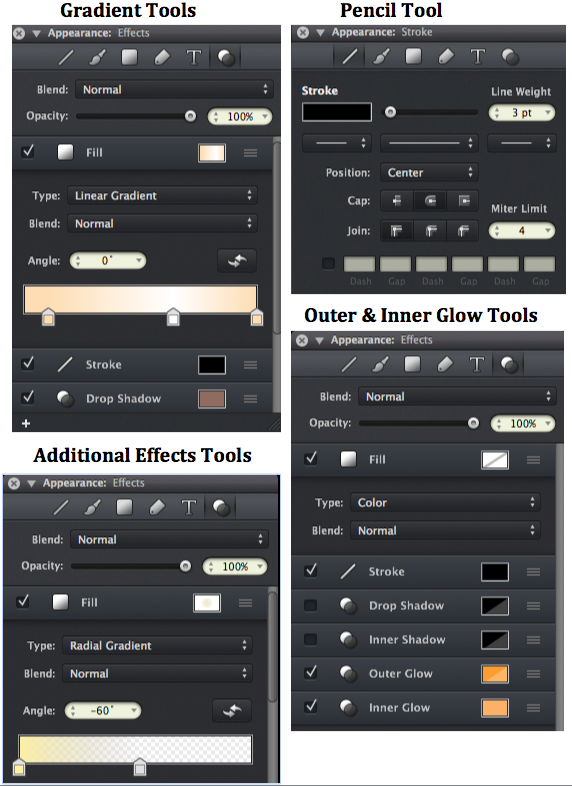 If you have any questions, the past tutorials can offer some answers and help in regards to the tools I use in the iDraw program. I would encourage you to check out my past demonstrations for that reason. 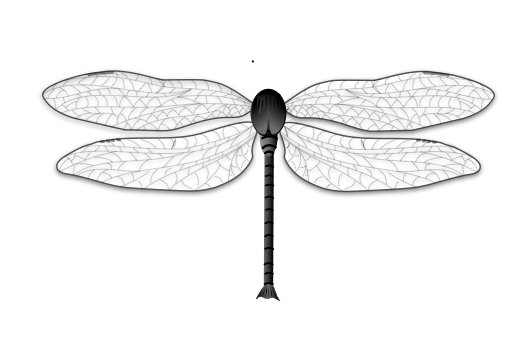 Before I begin, I would like to show you an overview of some of the tools I will mention as I describe the creation of the dragonfly. 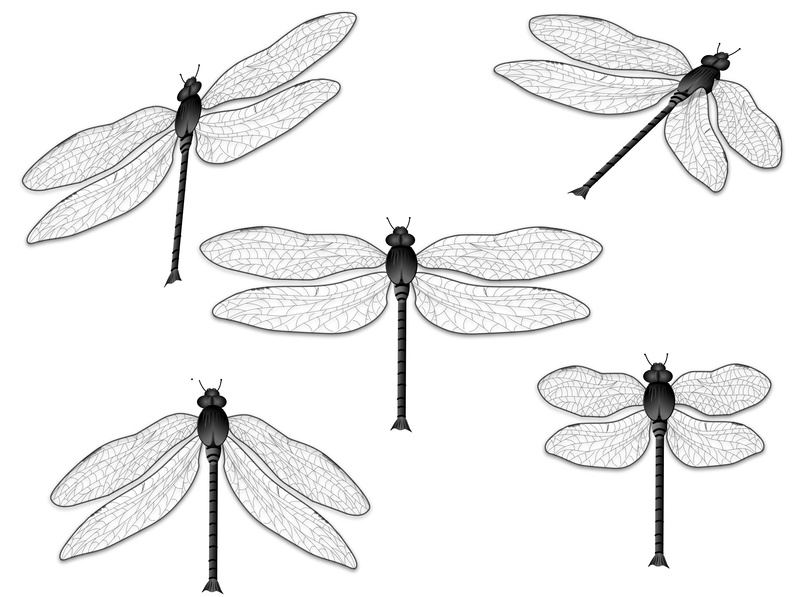 In order to create an accurate representation of a dragonfly, I used my rough pencil sketch of the dragonflies as a reference. You could use a picture of a dragonfly that you like just as easily. I began with a white canvas and I created a new layer for each step. 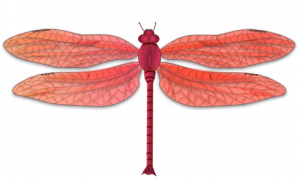 There were 12 layers in all used for this dragonfly image demonstration. I started by creating a long thin filled rectangle for the stem of the tail. Then I added a freeform image of a bird like tail at the end. 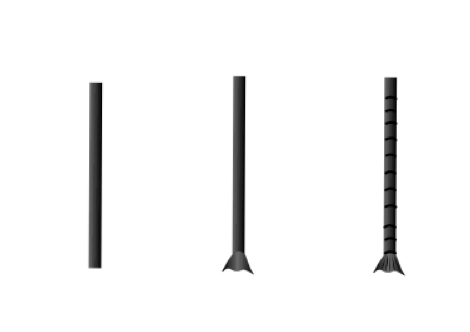 Once that was completed, I used the gradient tool and pencil tool to give the tail more definition. Separately, I drew a freehand outline of the top wing. I then made any necessary adjustments with the selection tool to give it the shape I desired. 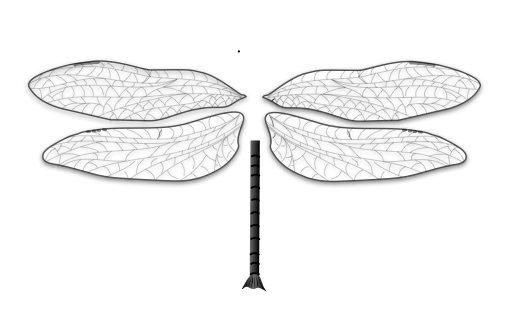 I very carefully added the veins to the delicate wing with the pencil tool using a very fine line weight. Then I added a few dashes to the top edge of the wings for more definition. 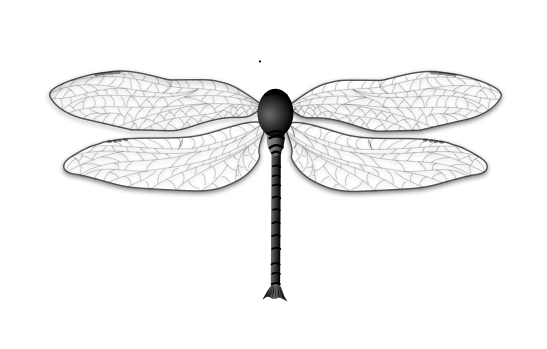 Using the circle tool, I added a small oval and larger oval for the body of the dragonfly. 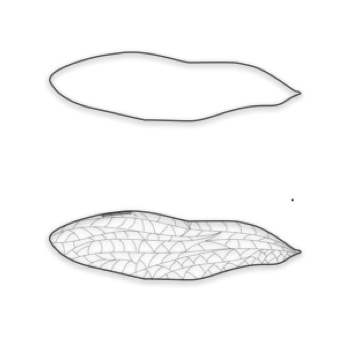 I use the gradient tool to create definition within the oval as I did with the tail. The dragonfly is now starting to take shape. I then added two freehand form shapes on top of the larger oval, using the pencil, fill and gradient tools to give the body more depth. Then I added the finishing touches by adding the head and antennae. I again used the circle tool to create 6 ovals. Two are side by side, slightly overlapping. One is a very small thin oval on top of the two overlapping ovals. Add another oval for the face. Add two very tiny ovals for the eyes. The last thing is to add two freehand lines on each side of the face for the antennae. The final touches are two dots at the end of the antennae. 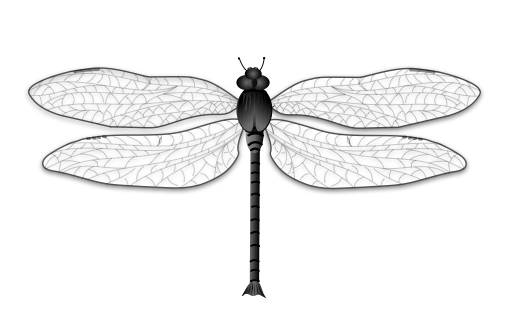 After I’ve completed the initial dragonfly, I will go back and adjust any needed items such as adding a drop shadow or adjust the areas that have a gradient fill. Now let’s have some fun. I did say there were various colors of dragonflies, didn’t I? To make dragonflies in different colors, I started by saving my creation. I merged the layers and then I went back and changed the dragonfly colors using the fill and gradient tools from black and white to red, blue and green. I made my final adjustments and there you have it. For added fun, I went on to do a study of a dragonfly in flight. Below are just a few of the images I created. I maintained the gray scale quality with each image to allow for color changes at a later time. So what do you think? So here is my challenge for you. I would encourage you to draw something, anything you like and then share it with us. Remember, regardless of your skill level, drawing is fun. So go for it. If you enjoyed “How I Draw On My iPad-Part 9”, check out Part 1, Part 2, Part 3, Part 4, Part 5, Part 6, Part 7 and Part 8. Enjoy.